A hollow tree is not structurally sound if the canopy foliage does not look healthy. The tree is in danger of falling, especially in a storm. The owners of this prunus tree in Gymea did not want to take any chances. After obtaining approval from the council, they rang the experts and we removed the tree. The extent of the damage to the trunk was soon evident, and the owners were very happy to have potential damage averted. 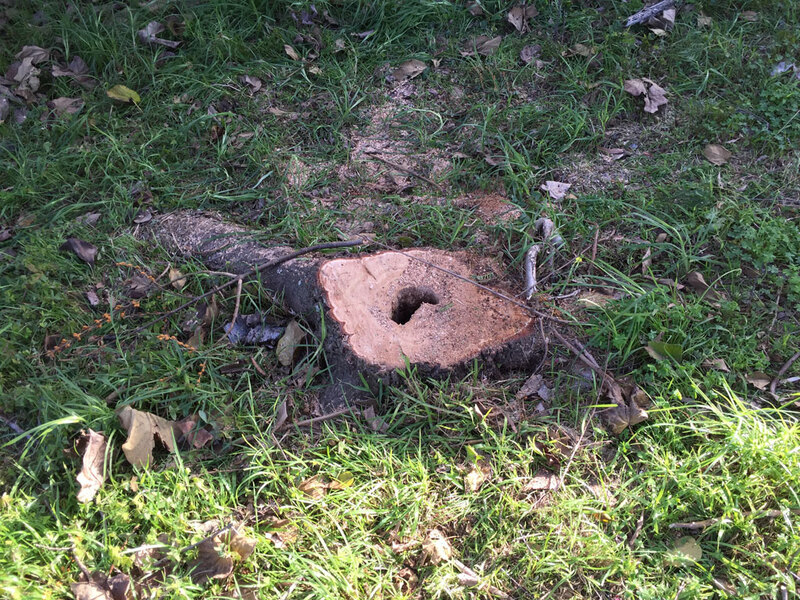 An healthy tree was removed carefully. The piping (hollow) extended all the way up into the canopy. PreviousPrevious post:Flexible hour arboristsNextNext post:Raise that canopy!